Director Jordan Peele describes “Us” as a “horror movie” — and while the comedian-turned-film-craftsman certainly invokes a sense of anxiety in the viewer with a family of mute, presumably evil doppelgängers — the film works more in the realm of social commentary. Don’t get me wrong, “Us” hits hard in the creepy department right out of the gate. The movie starts with ominous text screens explaining the thousands of miles of underground tunnel systems in America before dropping the viewer into the traumatic fall of the story’s first domino: a flashback in which a girl wanders away from her distracted parents and into a deserted beachside, mirror-filled funhouse. Here the girl comes face to face with a living double of herself. We’re then transported back to present-day California, where we follow the Wilson family on vacation to Santa Cruz — the same place where Adelaide, the girl from the flashback who is now an adult played by Lupita Nyong’o, suffered her PTSD-inducing experience. Adelaide is anxious, with reason, but the introduction to her and her husband (played by Winston Duke) and their two children (played by Shahadi Wright Joseph and Evan Alex) is a lighthearted one. There is a lingering sense of worry, though, and it all builds up to the face-off highlighted in the trailer between the Wilsons and their red jumpsuit-wearing doubles, who force their way into the vacation cabin to confront the Wilsons and their normal, pleasant lives. The doppelgängers, who are referred to as the “tethered,” don’t have much to say, but with a pair of scissors ominously gripped in each person’s hand, their intentions seem clear. 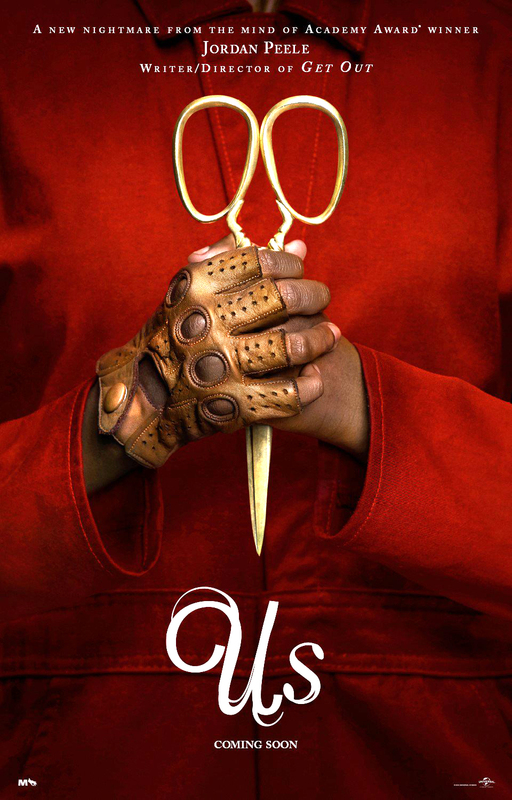 The acting delivers, for both the regular and evil versions of each character, and it’s evident Peele is good at using issues in the film to get audiences thinking about greater issues affecting society at large. Like many other horror movies, though, the storytelling takes a back seat, and unfortunately for “Us,” there isn’t enough scare to distract from that. There are still plenty of reasons to look forward to Peele’s clear decision to enter into the more serious, introspective aspects of filmmaking, but it would be irresponsible to say “Us” is anything more than a moderately entertaining thinker used by the film’s creator to find his footing.